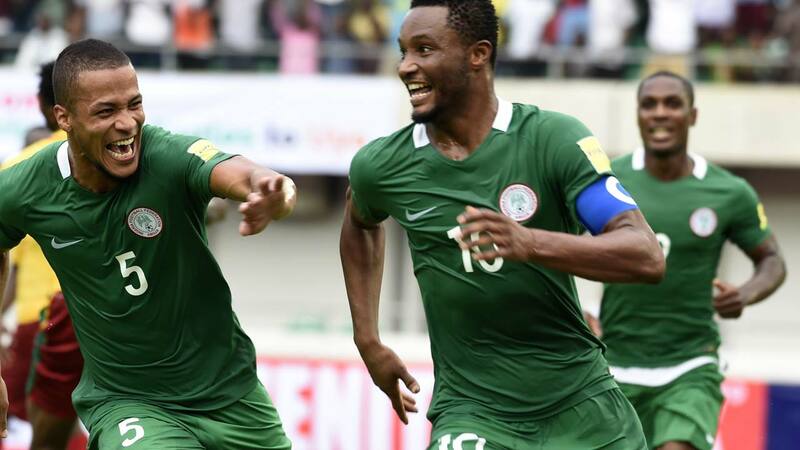 Super Eagles captain John Obi Mikel has confirmed that he will not be available for selection in Friday night's pre-World Cup friendly between Nigeria and Serbia at the Hive Stadium due to 'circumstances beyond his control'. The official word from the Nigeria Football Federation is that Mikel is absent as he has been working hard at renewing his work permit in China, where he plays for Tianjin Teda. Manager Gernot Rohr confirmed post-match after the victory over Poland that he has invited Porto loanee Mikel Agu to join the team in London due to absence of the former Chelsea ace. Writing on Instagram on Monday afternoon, Obi Mikel stated : ''Unfortunately due to circumstances beyond my control I will not be on the field for our game v Serbia tomorrow. ''I am sad, and frustrated, but giving my full support to the team for another WIN! 👊🏿🇳🇬 #SoarSuperEagles''. The Tianjin Teda number ten last wore the Super Eagles jersey in their 4-2 win over Argentina in an international friendly in Krasnodar last November.